Ronald Adler, MD, Associate Professor of Family Medicine and Community Health at UMass Medical School, has practiced and taught there for more than 25 years. His interests include women’s health, Quality Improvement, Behavioral Health integration, shared decision-making, and reduction of waste with an emphasis on avoiding overdiagnosis and overtreatment. Dr. Adler trained as an Improvement Advisor at IHI, The Institute for Healthcare Improvement in preparation for his role as Director for Primary Care Practice Improvement through the Center for the Advancement of Primary Care. He has created and led improvement initiatives that have focused on diabetes, hypertension and CAD. Twenty practices and nearly 20,000 patients have participated in these programs. He has also led local and state-wide initiatives to transform practices into Patient-Centered Medical Homes. He currently leads recruitment and engagement activities for the Southern New England Practice Transformation Network, funded by CMS as part of the Transforming Clinical Practice Initiative. In November 2017, his first book, Cancer Screening Decisions: A Patient-Centered Approach was published. Wayne Altman, MD, FAAFP is the Jaharis Family Chair of Family Medicine at Tufts University School of Medicine. He is a Professor of Family Medicine at Tufts where he has won over 20 teaching awards during his close to two decades at Tufts. He has also been recognized as a Boston Top Doc five times. In 2001, Dr. Altman joined Family Practice Group, The Sagov Center for Family Medicine. He became co-owner and President of the practice in 2006. The practice received Level 3 NCQA certification in 2012 as a Patient Centered Medical Home. Dr. Altman has co-led over 50 Wellness Groups over the last 10 years. These groups have helped about 250 patients lose over 5000 pounds and keep most of the weight off. Dr. Altman is the Co-Founder of WellnessCampaign.org, a non-profit created to support patients and providers with practical online resources in their attempts to increase wellness. 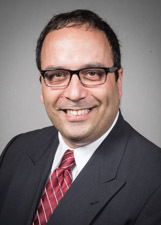 Konstantinos Deligiannidis, MD, MPH, FAAFP is the Director of the House Calls Education Program at Northwell Health Solutions in NY, and an Assistant Professor at the Donald and Barbara Zucker School of Medicine at Hofstra/Northwell. For nine years he was an Assistant Professor of Family Medicine at the University of Massachusetts Medical School, practicing small town full-spectrum family medicine at the Barre Family Health Center in rural central Massachusetts, and teaching medical students, residents, and nurse practitioner students. His primary interests are performing home visits, shared decision making, and patient and caregiver engagement. Since joining the House Calls Program, he is involved in the education of learners of different levels and professions at the Zucker School of Medicine/Northwell Health System in NY. Stephen Martin, MD, M.Ed. is an Associate Professor of Family Medicine and Community Health at the University of Massachusetts Medical School. He also serves as residency faculty at Boston University School of Medicine and is a member of the faculty at Harvard Medical School's Center for Primary Care. After four years with the National Health Service Corps in a community health center and federal prison medical center, he cares for patients and teaches advanced practice clinicians, residents, and medical students at the Barre Family Health Center in rural Central Massachusetts. In 2013, he was named Preceptor of the Year by the Massachusetts Academy of Family Physicians. Steve is founding project director of TandemHealth, a partnership between Consumer Reports and the National Physician Alliance to develop evidence-based electronic resources for clinicians and patients. He is lead author of publications in the BMJ, JAMA, and Lancet and co-author of a review of quality metrics in PLoS Medicine. Alicia Agnoli, MD, MPH is a family physician from Massachusetts. She completed her medical and public health training at Tufts University, with research focused on health disparities and primary care-based addiction treatment. She completed her family medicine residency at Tufts, concentrating on Patient Centered Medical Home transformation and addiction medicine. She is currently completing the Robert Wood Johnson Foundation Clinical Scholars Program at Yale. Her current research focuses on improving health systems and primary care delivery to expand access and address disparities. Sami Hamdan is a medical student at Tufts University School of Medicine. Before beginning at Tufts, Sami completed a Master's of Public Health from Boston University School of Public Health, concentrating in Health Policy and Management, and received the Leonard Glantz Award for Academic Excellence. He has focused on understanding how policy and health systems can be improved to provide increased access and higher quality care, particularly for the most at-risk patients. Alan Glaseroff, MD is the Director of Workforce Transformation in Primary Care at Stanford. He is responsible for training the teams for Primary Care 2.0, a radical redesign of primary care underway in 2016. He formerly served as Co-Director of Stanford Coordinated Care, a service for patients with complex chronic illness from 2011 to the end of 2015. Dr. Glaseroff, a member of the Innovation Brain Trust for the UniteHERE Health, currently serves as faculty for the Institute of Healthcare Improvement’s “Better Care, Lower Cost” collaborative and served as aa Clinical Advisor to the PBGH “Intensive Outpatient Care Program” CMMI Innovation Grant that completes in June 2015. He served on the NCQA Patient-Centered Medical Home Advisory Committee 2009-2010, and the “Let’s Get Healthy California” expert task force in 2012,. Dr. Glaseroff was named the California Family Physician of the Year for 2009. Andy Lazris, MD is a primary care physician in Columbia Maryland, and serves as medical director of Personal Physician Care and several long term care facilities. He is the author of Curing Medicare (Cornell University Press, 2016) and co-author of Interpreting Health Benefits and Risks: a practical guide to facilitate doctor-patient communication (Springer, 2015). He writes extensively about health policy, medical decision making, and the doctor-patient relationship on his two blogs at curingmedicare.com and doc-patient-talk.com. Sara Martin is a current student at Harvard Medical School. After doing local policy work, she became interested in how government policy affects the quality of health care. She pursued a Master's Degree in Comparative Social Policy (focusing on health policy) at the University of Oxford, and then applied her policy skills at the Health Foundation, a health policy think-tank in London. While there, she helped design a national quality strategy for the NHS in England and was the lead author on a secondary quantitative analysis on the state of primary care in England. Previously, she was a director and founder of a school-based health center and a high-school chemistry teacher. Daniel Mullin, PsyD, MPH is Director of the Center for Integrated Primary Care and an Assistant Professor in the Department of Family Medicine and Community Health at the University of Massachusetts Medical School. He a clinician, educator, researcher, and consultant specializing in Motivational Interviewing and in the integration of behavioral health and primary care services. Dr. Mullin maintains a clinical practice embedded in the Barre Family Health Center, a rural family medicine residency practice in Massachusetts. He has helped lead primary care transformation projects locally and through the Commonwealth of Massachusetts’ PCPR and PCMH programs. He is a member of the Motivational Interviewing Network of Trainers and conducts research, teaches, and provides consultation related to Motivational Interviewing in primary care. Alan R. Roth DO, FAAFP, FAAHPM is Chairman of the Department of Family Medicine, Ambulatory Care and Community Medicine at Jamaica Hospital Medical Center in Queens County, NY. He is also Chief of Palliative Care and Director of the Hospice and Palliative Medicine Fellowship Program. Alan is a Practicing and Academic Family Medicine and Palliative Care Physician and former Family Medicine Residency Program Director. He is a Professor of Family Medicine at NYITCOM and Assistant Professor of Social and Family Medicine at Albert Einstein College of Medicine. He has numerous publications as well as presentations at National Meetings and has been the recipient of numerous “Best Doctor” Awards. Alan currently serves as the Convener of the Primary Care Council of the Right Care Alliance. Courtney Scanlon is a current 4th year MD/MBA student at Tufts University School of Medicine. Throughout her time at Tufts, she has worked to combine both educational disciplines to improve the quality of patient care. She is published in the Journal of Business Continuity and Emergency Planning for her analysis of the Tufts Hospital Incident Command System and has worked directly with the Director of Emergency Services on their communication initiatives. She was also one of the lead organizers for MedStart, an annual healthcare start-up competition, whose mission is to bring together diverse minds to change the way care is delivered. Aaron Stupple, MD is an internist at Beth Israel Deaconess Medical Center. His career began as a science teacher in rural upstate New York. His interests shifted from youth to aging and elder care after he enrolled in medical school at SUNY Upstate in Syracuse, NY. He developed a focus on social media and digital technology in healthcare reform and was inducted into the Alpha Omega Alpha and Gold Humanism honor societies. Following internal medicine residency at Beth Israel Deaconess Medical Center, he is a board certified hospitalist at Beth Israel. His clinical focus is communication at the end of life. He is a Lown Institute Fellow as well as a member of the National Physicians Alliance where he is completing a Copello Fellowship project to reduce overuse. With the Lown Institute, he has contributed to the planning and implementation of the Institute’s RightCare Action Week; he was featured in The Boston Globe for the Listening Booth, a public engagement project he developed for the initiative. Currently, he supports Vikas Saini, MD, and the Lown Institute staff in organizing Boston-area clinicians to mobilize public support for healthcare delivery change at the local level.